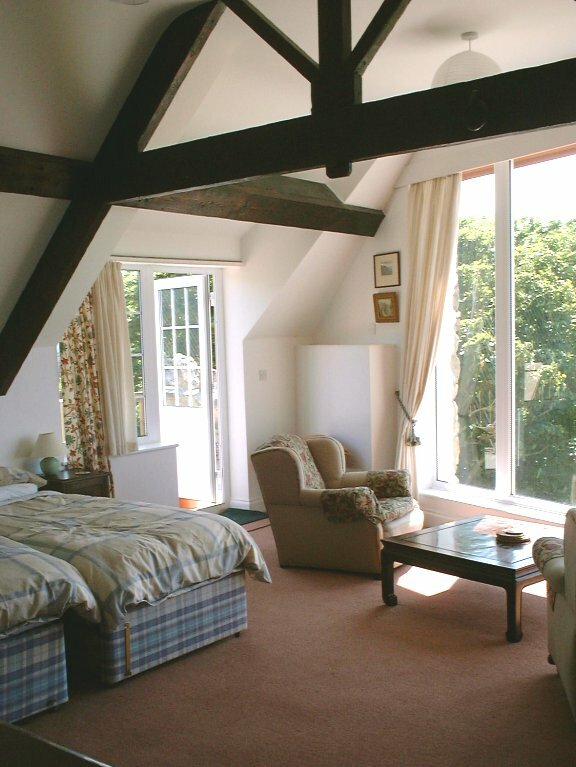 has a floor to ceiling picture window with views across to Guernsey. Sleeping 2/3 this exceptionally large suite has a spacious lounge area, en-suite bathroom, fully equipped kitchen, central heating. The Studio is reached by its own outdoor staricase, with private balcony for sunbathing, or admiring the view across to Guernsey. has a picture window looking out over to Guernsey. Sleeping 2/3 it's spacious area includes a lounge area, en-suite bathroom, and fully equipped kitchen, central heating. 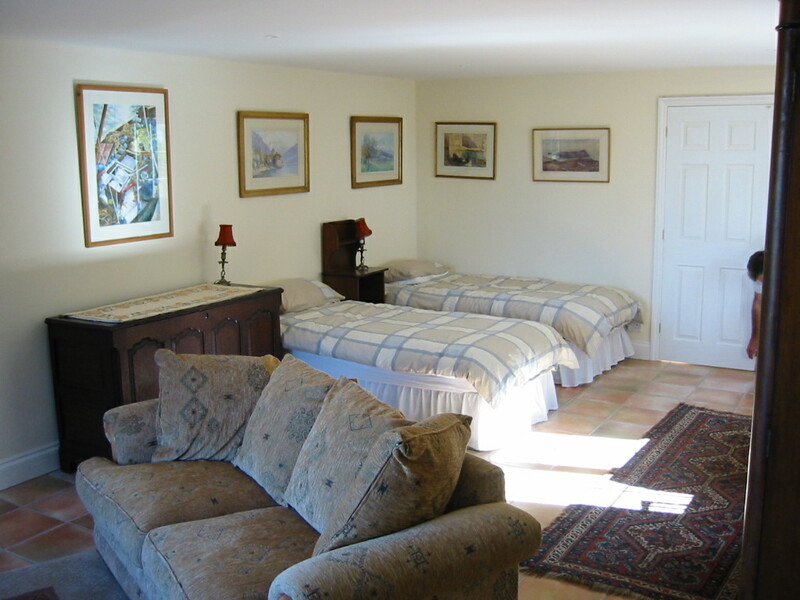 The room can be let with the adjacent Stable room, with a further 2 beds. is separate from the main house the Barn has recently been converted into a self-catering cottage. It sleeps 2/4 and consists of an upstairs bedroom with views over the farm, duck pond, garden and sea in the distance. The downstairs area comprises the sitting room with sofa bed leading to a large wet room and fully equipped (including Rayburn) kitchen diner where, from the barn door, you have access to the main garden and front gate. From the kitchen, patio doors lead out to a sitting area and private garden overlooking the duck pond. The Barn has under floor heating throughout.